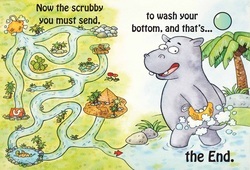 Bath Time Safari is a fun book that walks children through the steps of washing their bodies so nothing is missed in the bathing process. 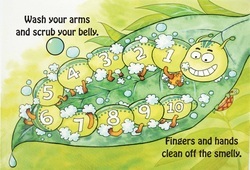 This book was designed for parents to begin using with the very first bath their child takes and then build good hygiene habits as the child grows, experiencing the same pattern over and over. 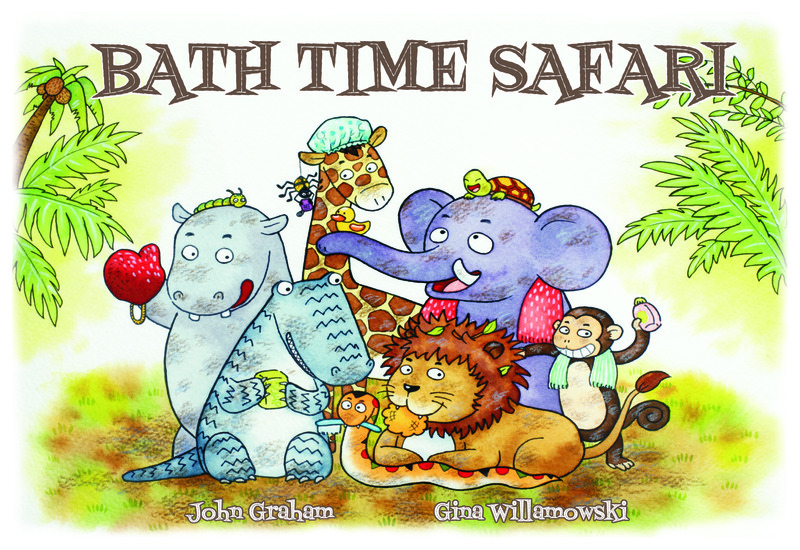 Beyond just a book, Bath Time Safari contains fun activities to help your child learn. From identifying the fun animals, to learning numbers and shapes, the books interactivity provides learning on multiple levels. Meet the Safari Crew by clicking HERE. Meet the Artist of the book by clicking HERE. Pages promote activities beyond just bathing steps. Here children can seek out the turtle and also practice counting. Activities like the maze on the synthetic paper version for the tub allows children to read and play in the water and then simply dry off the page after finishing.